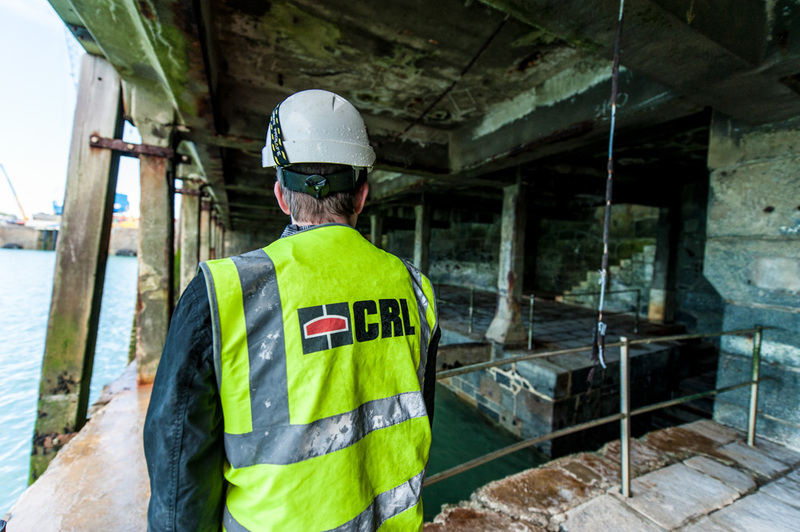 Guernsey is one of the main Channel Islands situated off the coast of Normandy and has a population of 65,000. 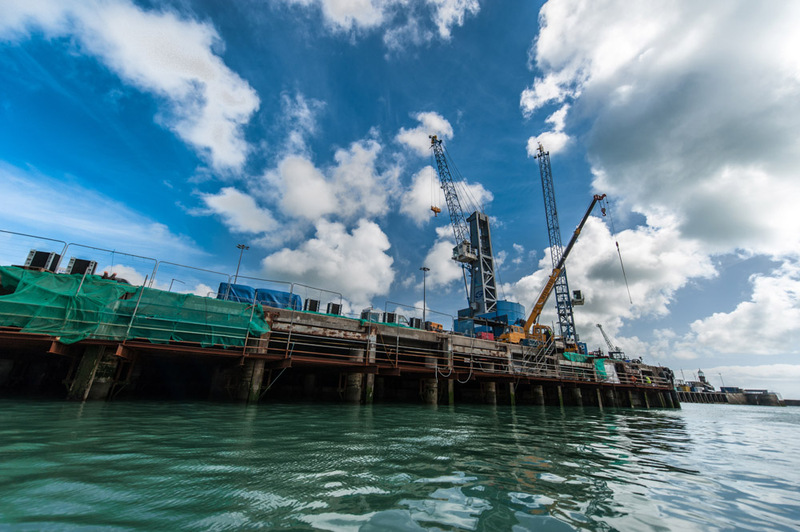 The marine berths are in the main town of St Peter Port and are an essential part of the Island’s infrastructure. 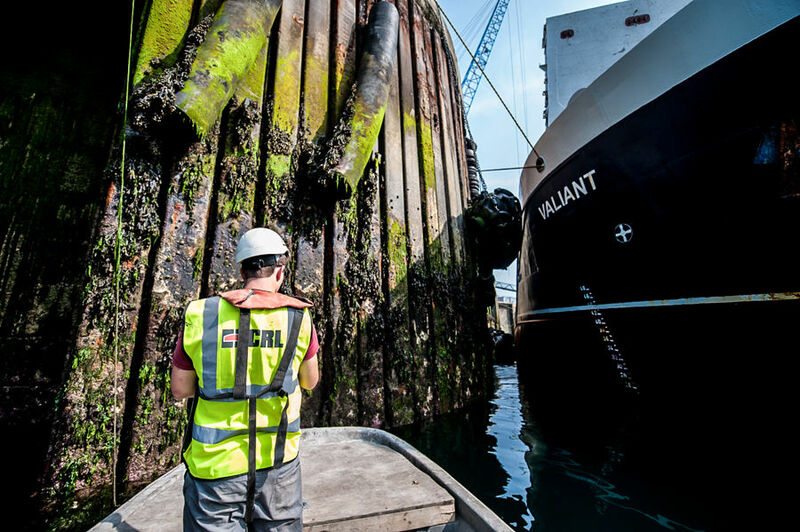 The port operators are the States of Guernsey and in 2007 they commissioned a review of Berths 4 and 6. 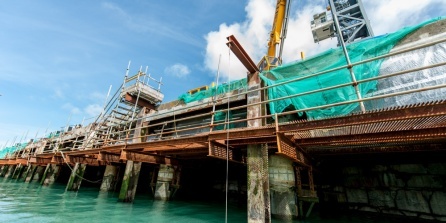 It was recommended that as part of the overall berth refurbishment the reinforced concrete be repaired with an impressed current cathodic protection systems installed to enhance durability and the concrete encasement on the steel beams and columns removed and replaced. 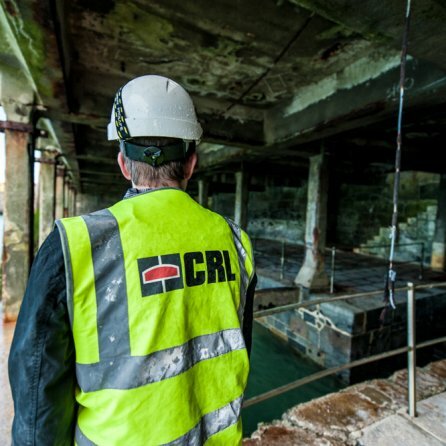 The contract provided some significant challenges for the CRL design and installation team. 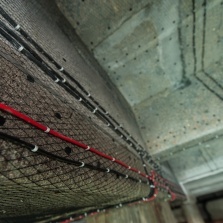 The design completed by CorroCiv divided the system into 30 anode zones. 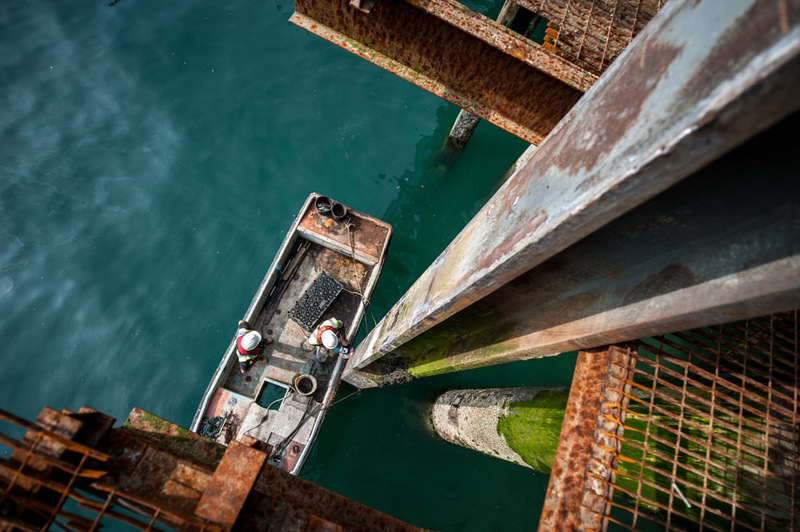 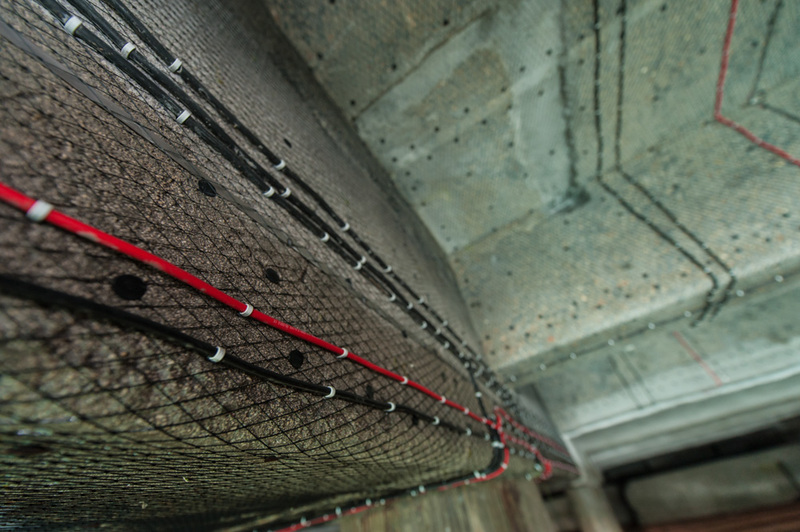 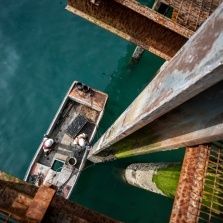 Above the mid tide level 4,500 m2 of concrete was cathodically protected using an MMO titanium mesh and sprayed overlay with galvanic anodes to protect areas below mid tide. All specialist materials had to be shipped to the Island from the UK 100 miles away. 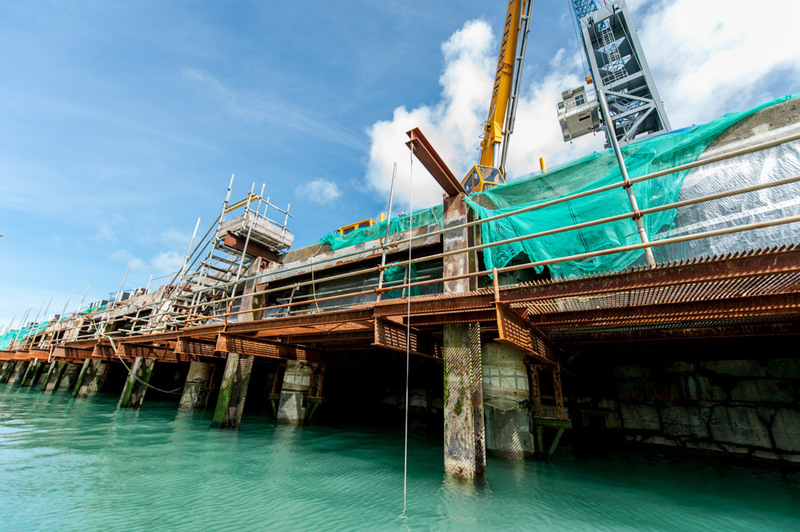 The tidal range at 10m is one of the highest in the world so a steel fabricated deck was used to provide permanent access for the repair works to be undertaken. 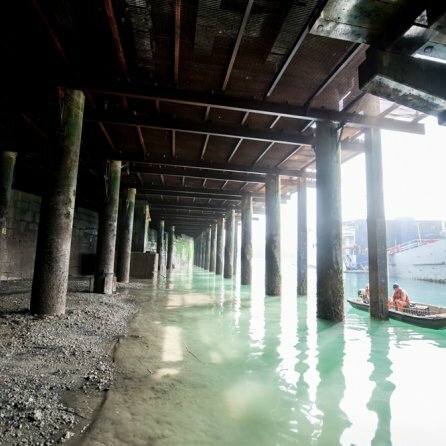 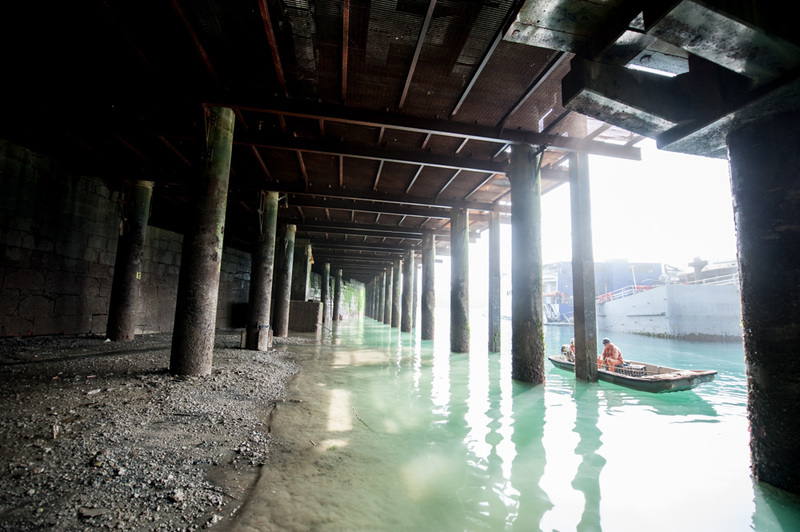 Throughout the contract period the berths remained in operation for the transportation of goods.